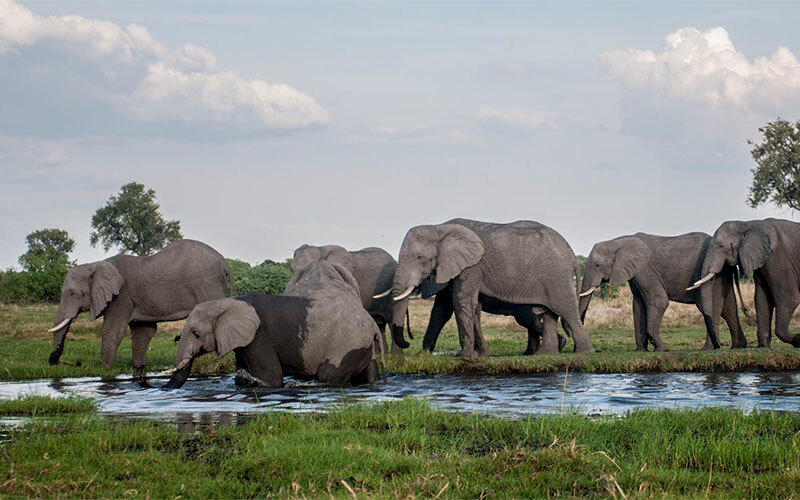 Combine the unique experience of the Okavango Delta water Safaris with a land based Safari in Moremi Game Reserve and you get this great African budget safari. Starting off in Maun and heading into the Okavango Delta first to spend a few days exploring the water ways by dugout canoe (Mokoro). 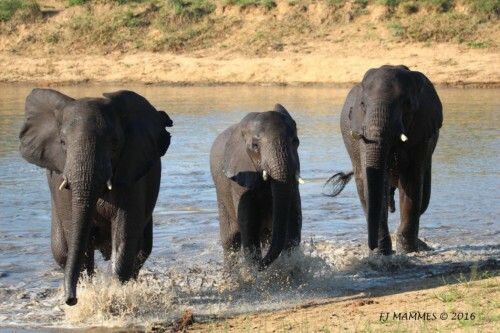 Leaving the Delta, you make your way onto dryer land and the world renowned game reserve, Moremi. 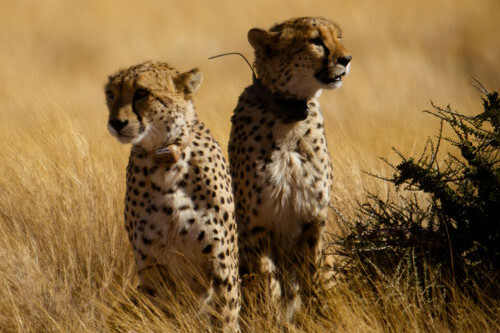 Early morning and late afternoon game drives are your best chance of spotting the abundance of wildlife found here. Finally you will make you way back to Maun where your tour ends. Our safari starts in the tourist town of Maun, we have a welcome briefing, before we head out on our next adventure. Depending on your itinerary we either have lunch at Sitatunga camp or a packed lunch on the way. 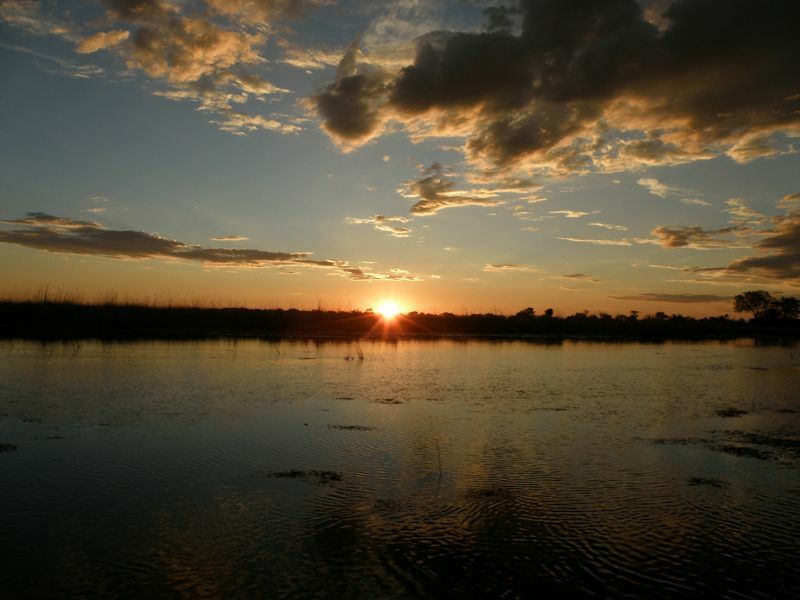 The Okavango Delta is recently designated as a UNESCO World Heritage Site. 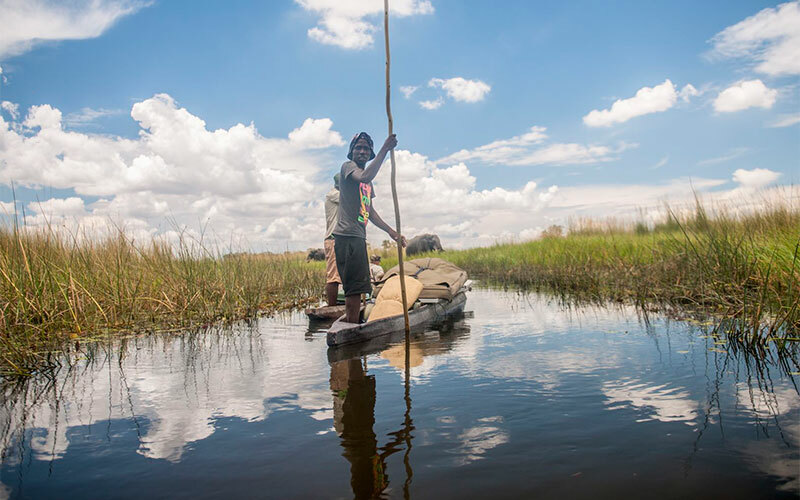 In the mid-afternoon we arrive at our mobile tented camp situated in the heart of the Okavango. 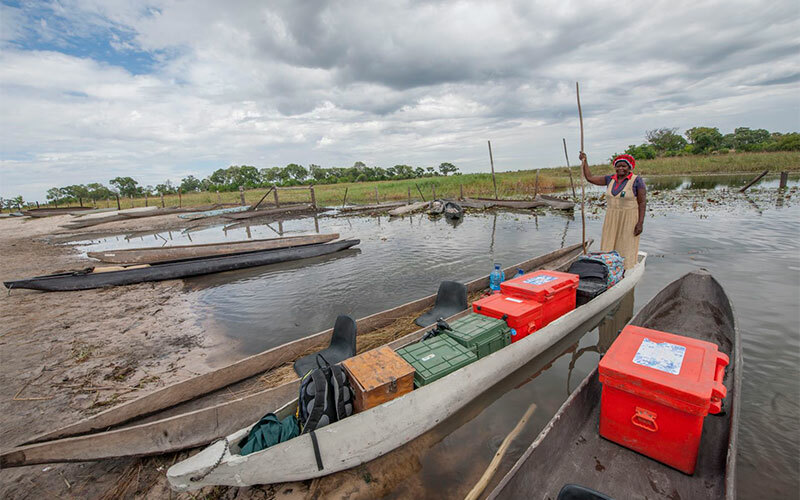 Dependent on water levels we may travel via Mokoro (Traditional Dug-Out Canoe) or drive into the camp. On arrival you will meet the local staff who will be your host during your stay. A brief introduction to the camp will your dome tent with twin beds and a bush en-suite bathroom – long drop toilet and a bucket shower. Relax in the mess tent with a cold drink or take a paddle in the lagoon in a canoe. The activities at the camp include Mokoro trails and guided walking. We spend a relaxing 2 nights at this camp. Mobile Tented Camp with en-suite walk in tents, beds and linen. Most days at camp follow a similar pattern; the clatter of the Water Walla’s bucket lets you know your shower is ready. Up before the sun, you set out on foot, to explore the area once again in search of game. Meet other guests at the mess for breakfast then take a Mokoro to explore further. Take time to catch up on your reading or view the birdlife from the mess tent. Lunch is normally served at around 13h00. After lunch your time is yours to relax or have a go at poling the mokoro’s or ask the guides to find a swim spot for you before the afternoon outing. At about 3 pm you will be offered afternoon tea, before the activities commence. 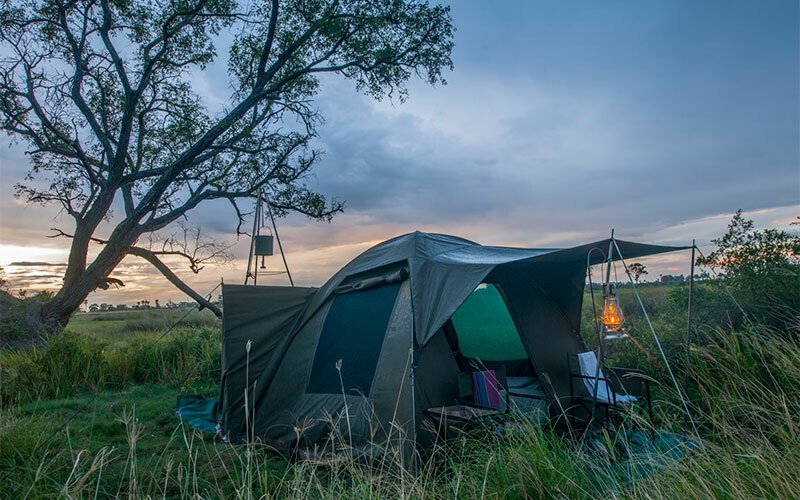 Return to camp in the late afternoon for a sundowner while your dinner is being prepared. The clatter of the water bucket lets you know your shower is getting ready. During the evening your hosts can be encouraged to share stories around the fire of their lives and lands. Be prepared if your Botswana hosts put on a song for you they will be expect one in return! As the evening draws to a close lay back and listen to the music of life – the sounds of the African bush! 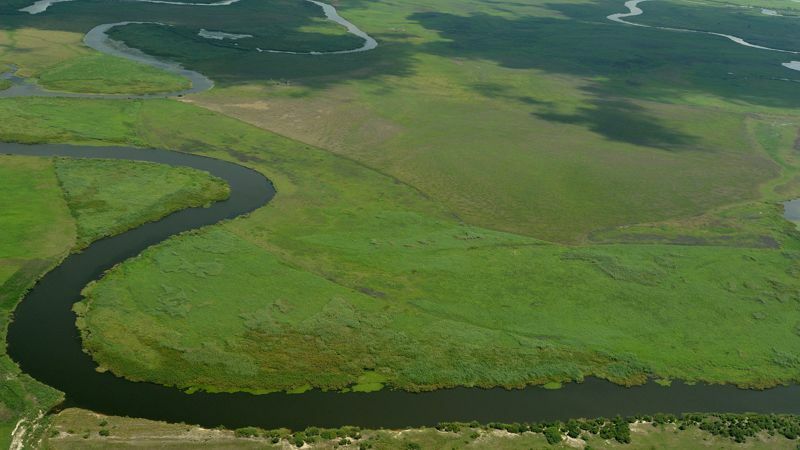 Leaving ‘The Okavango Delta’ the safari travels to the world renowned Moremi Game Reserve. Two days are spent exploring the park in search of wildlife both big and small. 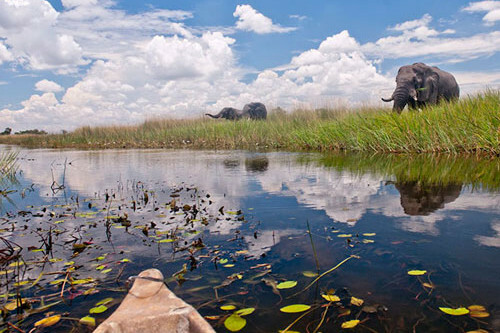 Moremi is a prime wildlife area where elephant, hippo, buffalo, lion, leopard, cheetah and most other game can be seen. 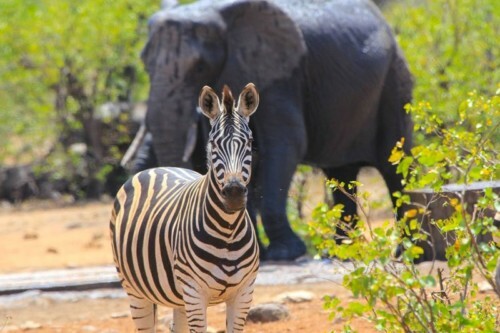 Moremi Game Reserve is one of the most unforgettable wildlife experiences in Africa! 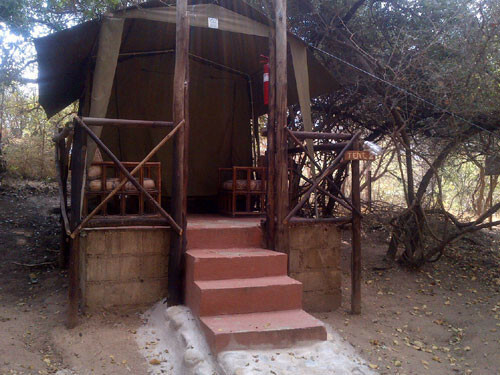 3 meter x 3 meter tents with en-suite bush bathroom with latrine style toilet and bucket shower. Bathrooms are serviced by our staff daily and hot water is supplied on request. Items of personal nature, alcoholic beverages, Optional Activities, Gratuities.